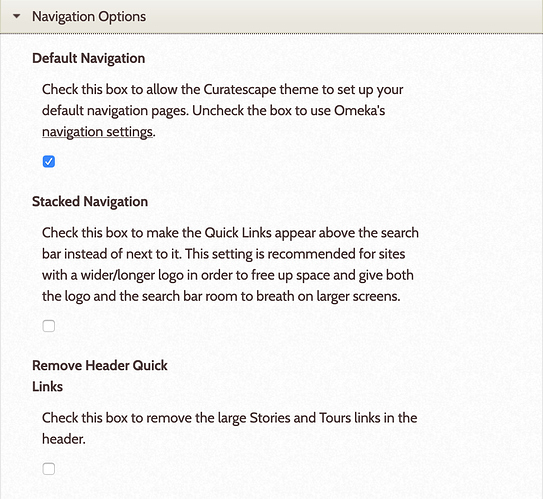 I want to create a dropdown menu in my Omeka site and I am using Curatescape theme. I am trying to create the drop down menu with Simple Pages but it does not create the normal drop down structure. Can you please suggest me where can I start to look through in Omeka folder structure to manipulate for creating the drop down menu. Hi @Nayeema, you can use the Curatescape Forum for questions relating to the Curatescape theme and plugins, etc. See: https://forum.curatescape.org/. 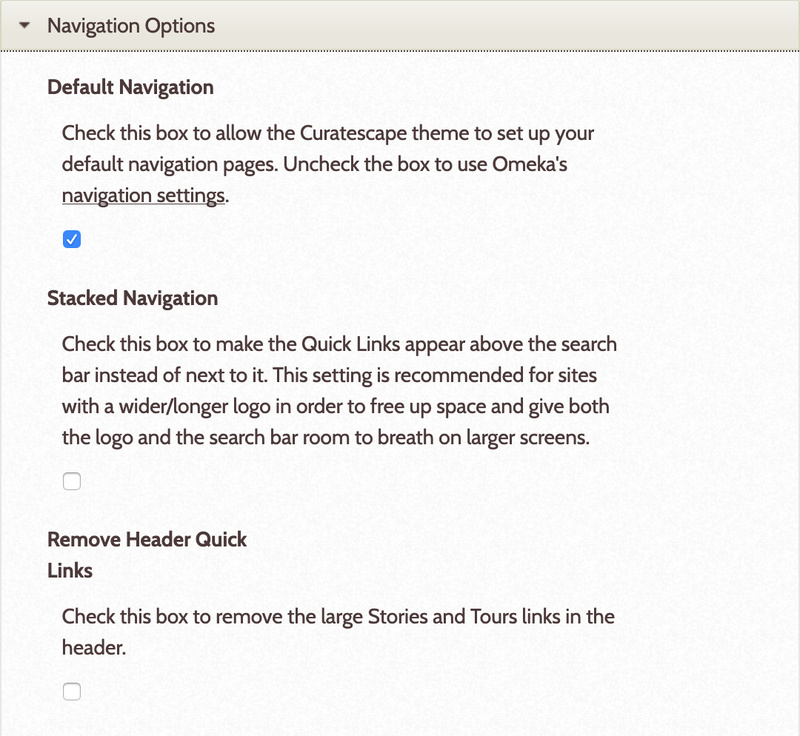 To address the question, the Curatescape theme’s navigation has some defaults that you may need to look at before making changes. By default, there are two “quick links” at the top of the page (tours and stories) with the rest of the navigation being located within the side menu. You can create nested simple pages in your navigation settings, but first you’ll need to disable the default navigation in theme settings. For example, the Village Legacy Project site has disabled the quick links and created a custom navigation in the side menu. See GIF below. This is exactly what I want to do. But my another question is that where can I find the navigation file can you please tell me the folder path?